Moitié-Moitié. Half-half. Normally, that refers to THE standard for fondue: half Gruyère cheese and half Vacherin Fribourgeois cheese [side note: these are protected names (“AOP” or “appellation d’origine protégée”), so no cheese produced outside of the Canton of Fribourg or that does not adhere to strict standards may call themselves Gruyère or Vacherin]. But I think it’s an appropriate title, as we are exactly halfway through our year here – six months down, six more to go. There are many elements about Swiss life – and more specifically, Fribourg life – that I will miss, and it’s not just the chocolate. 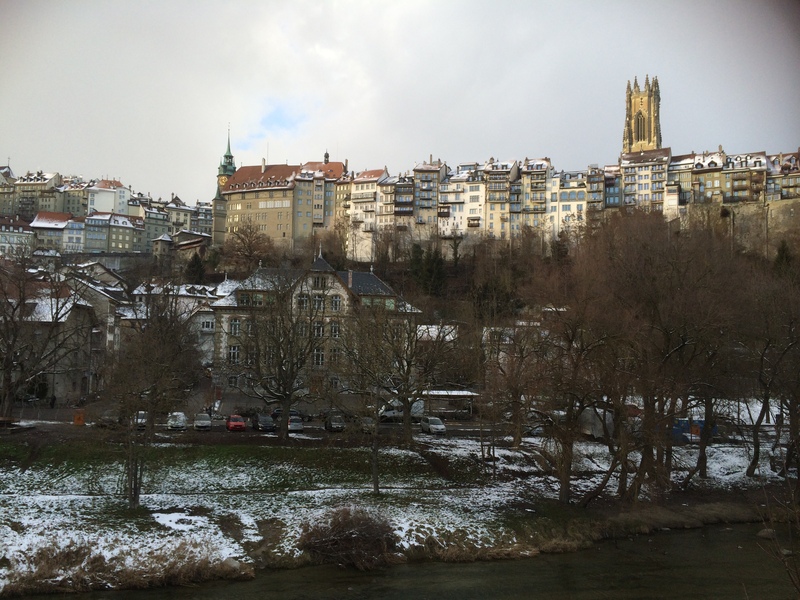 There’s not much I can do back in the U.S. to recreate the sense of old-world European history that clings to Fribourg the way its houses cling to the surrounding cliffs above the Sarine River. But it’s my goal to find ways to carry forward other elements into our U.S. life… such as walking more instead of driving and just generally slowing down, incorporating fun into everyday life and saying “bonjour,” “merci,” and “bonne journée” to shopkeepers (OBVIOUSLY in English… come on, I’m not that pretentious!). One joy-bringer I didn’t anticipate was being so close to everyday nature. I truly love how frequently we come across grazing cows (or now that it’s winter, through open barn doors). 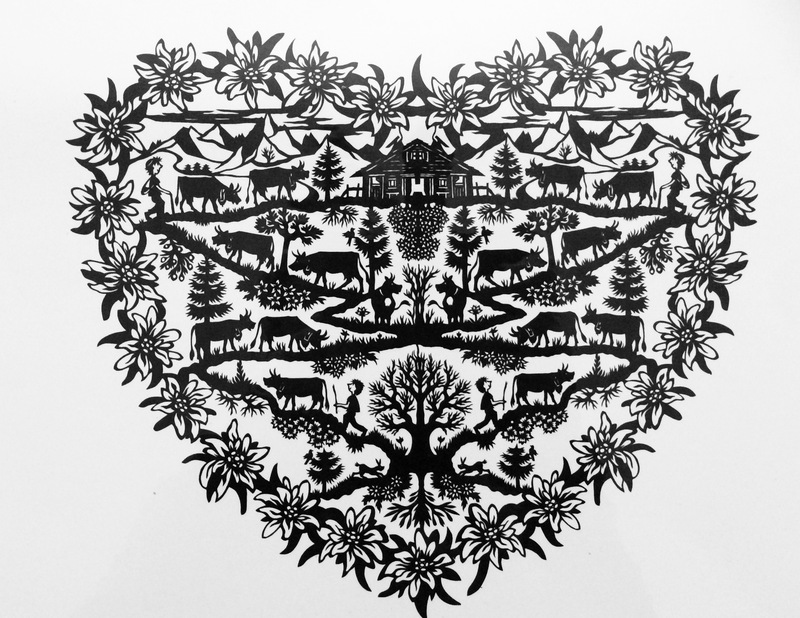 It’s surprisingly easy to get into the countryside – five minutes into a run brings us to the pretty river, grassy hillsides, fields, woods, country lanes, bucolic abbeys. I am in love with the combination of history and nature here. 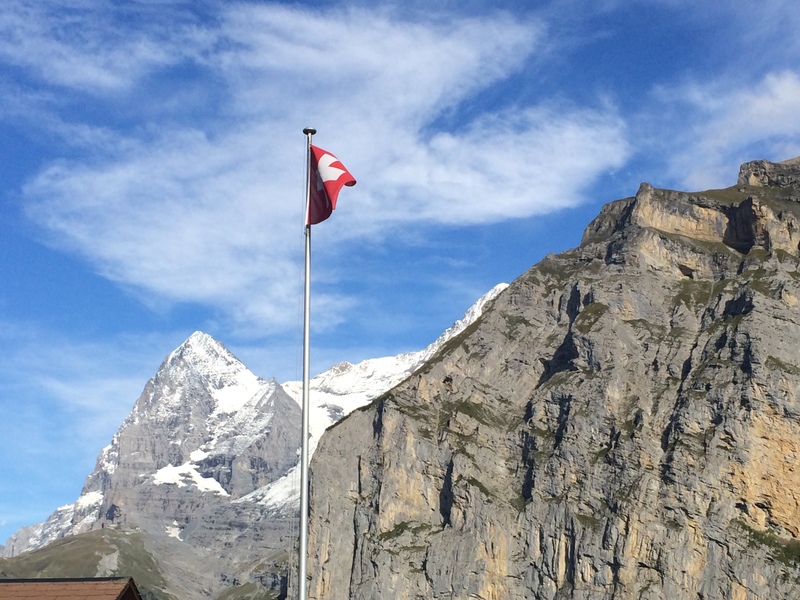 In reviewing the first half (la première moitié) of our adventure here, I’ve been thinking about my favorite Swiss experiences – ones that I will treasure forever. 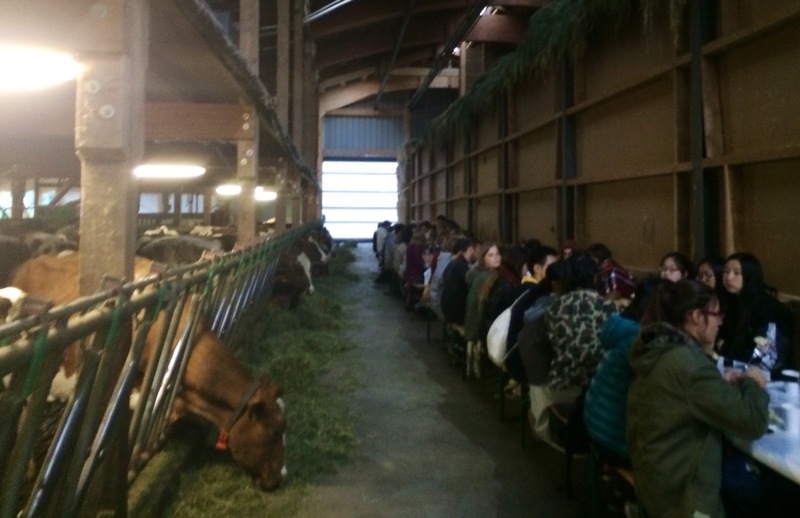 Eating fondue in a barn with the cows whose milk had yielded the cheese was a privilege. 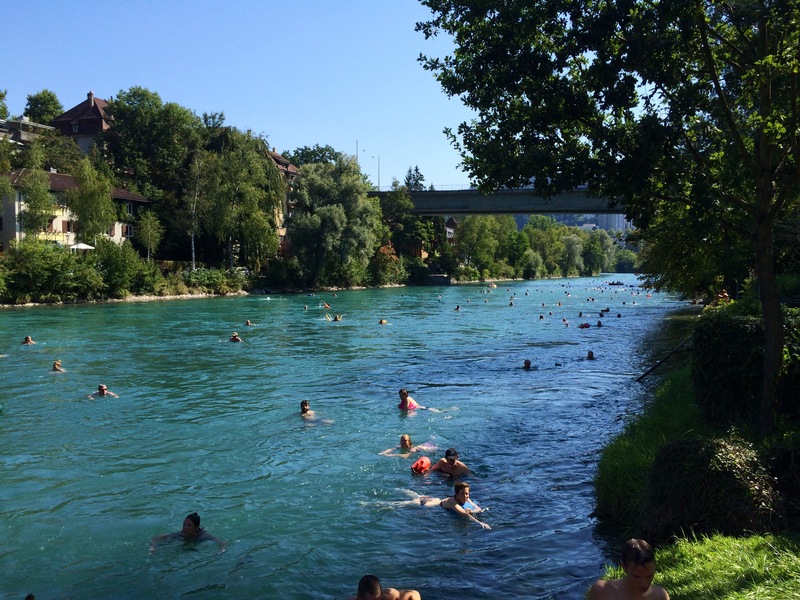 Floating down the Aare River in Bern must be one of the most fun and thrilling things to do for free. 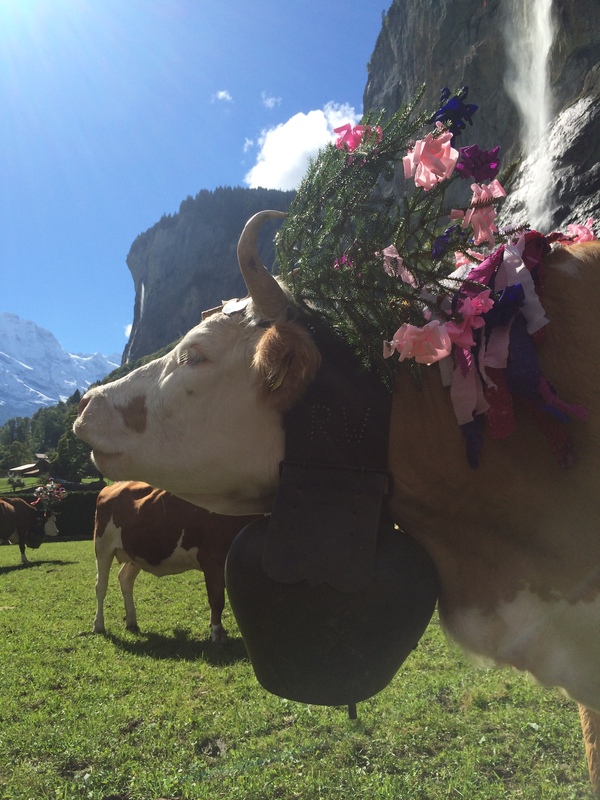 Seeing the cows dressed up in their finery for the Désalpe with my mother and her friends was an incredible sight, especially in front of the exquisite backdrop of Staubbach Falls and mountains in Lauterbrunnen. 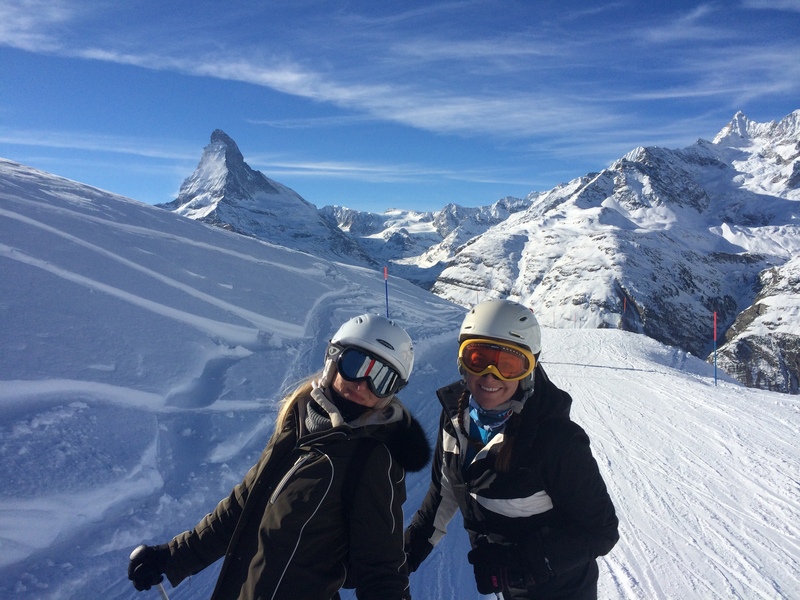 Our weekend in Zermatt was not only visually stunning but also a beautiful gift in terms of spending time with new Swiss friends – the perfect ski day, against which all future ski days will be measured. 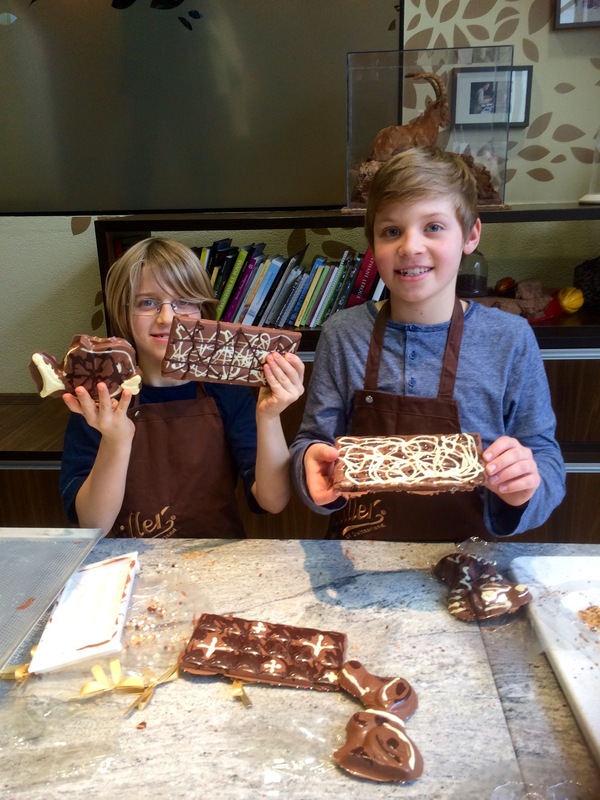 I loved creating unique chocolate bars with my sons at the Cailler chocolate factory. We’ve been extremely fortunate and are very grateful. Here’s to the next six months going as well as the first. I’m optimistic. Aare we having fun floating down the river? YES!